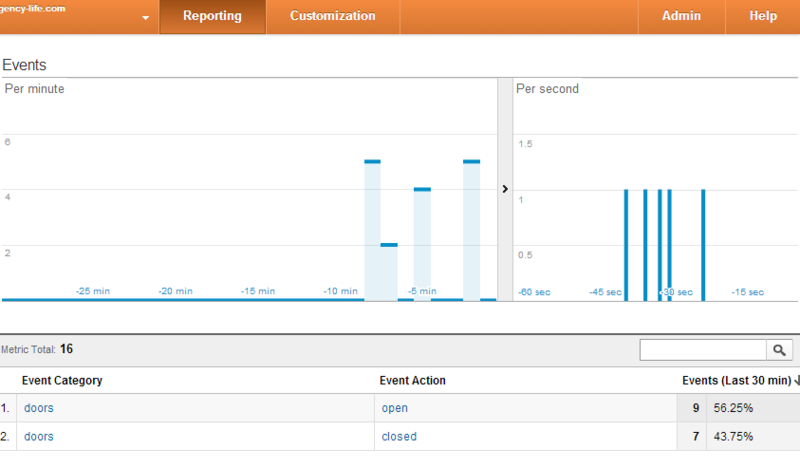 See how often people come into your house or store with Google Analytics. Ok now we are back! Tracking movement was cool but I want more exact information. I want to know if people are coming and going in my house when I’m not there. I want to know what time my house-keeper leaves or if anyone goes into my room. Using an magnetic door sensor can give you a better reading of people coming in and out of your home, or business. The PIR sensor just senses change in inferred activity so if you’re moving around a lot it is going to to go off a lot. This is a little bit more of a permanent fix since you install it in your door frame but there is a ton of other fun hacks you can use with it to make it worth it. Also, if you have an alarm system or any kind of magnetic locks you can relativity wire it into that but I recommend learning about electrical engineering before you’re ripping apart your wires. 1 Door sensor (magnetic contact switch) or here is one that comes with sticky pads so you dont need to drill into your door. Optional: 22 AWG hookup wire – you need this is you really want to hook it up to your door. 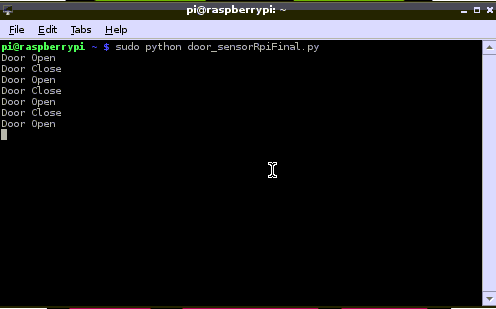 The Door sensor uses a thing called a reed switch. 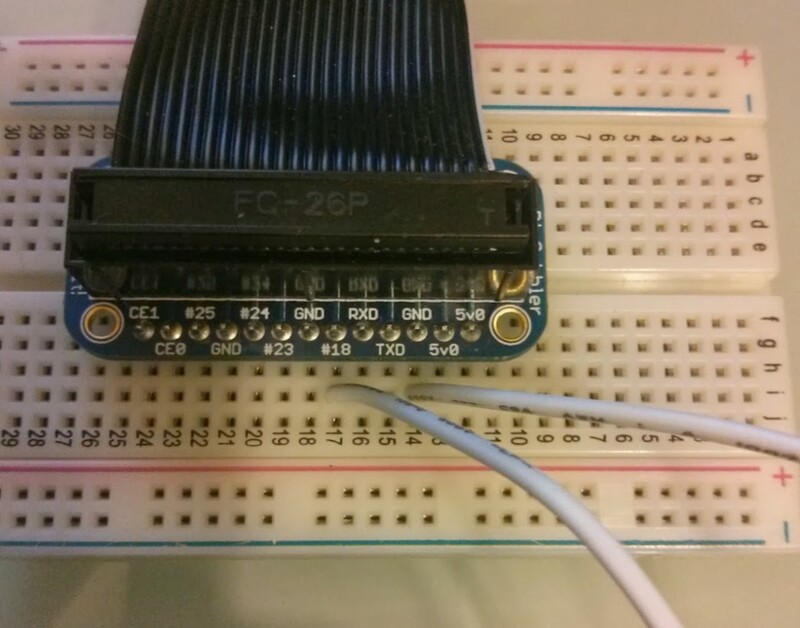 This basically triggers when it notices a magnetic force near it. So technically you can connect this to anything that you want to track when the part with the wires separates from the part by itself. This will work if you put it on windows, fridges, drawers! 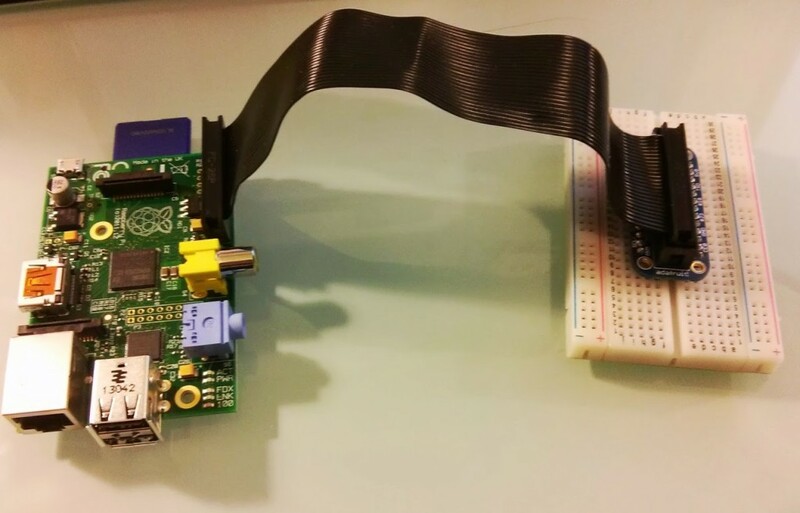 It can me installed on to anything with a door or drawer. The Door Switch, uses what is called a reed switch. These are two contacts inside a glass tube, that is then encased in plastic. 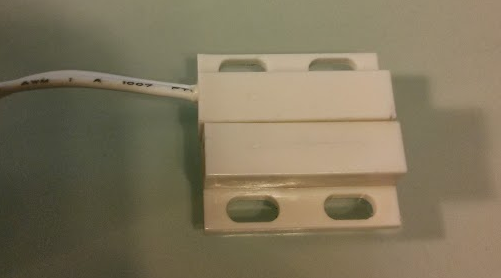 When a magnet (the other white block) is placed near the reed switch, the contacts are drawn together and the switch closes. 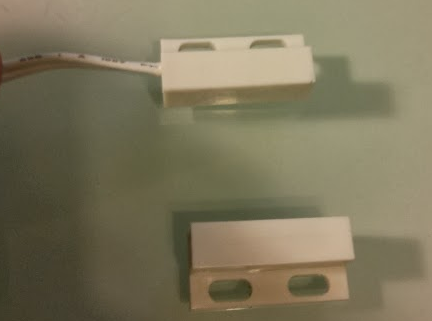 Since this is just a switch, the leads can be connected either way around. 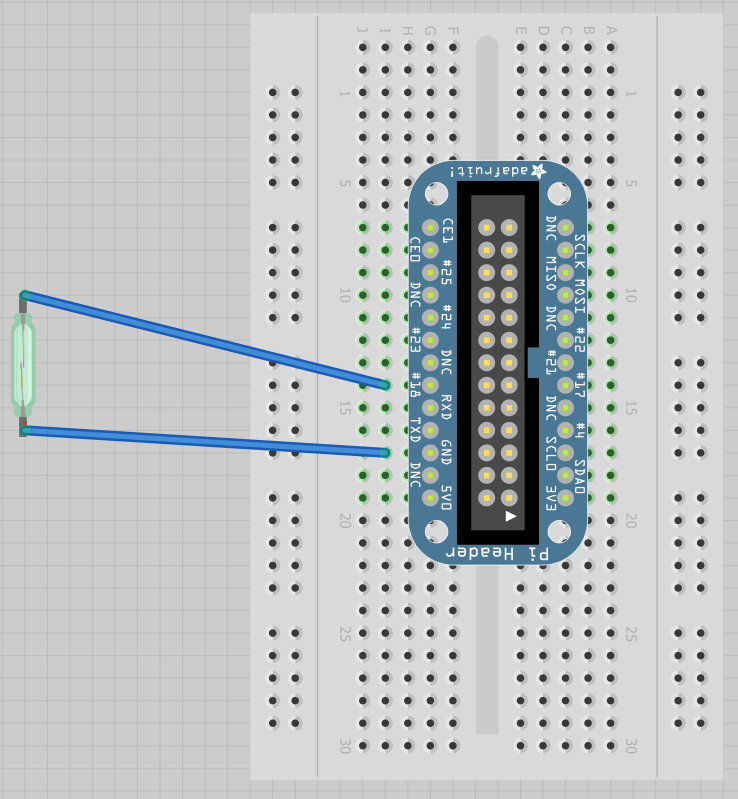 We will use the Pi’s ability to create an internal pull-up resistor on the reed-switch pin, so we don’t need an external pull-up resistor. 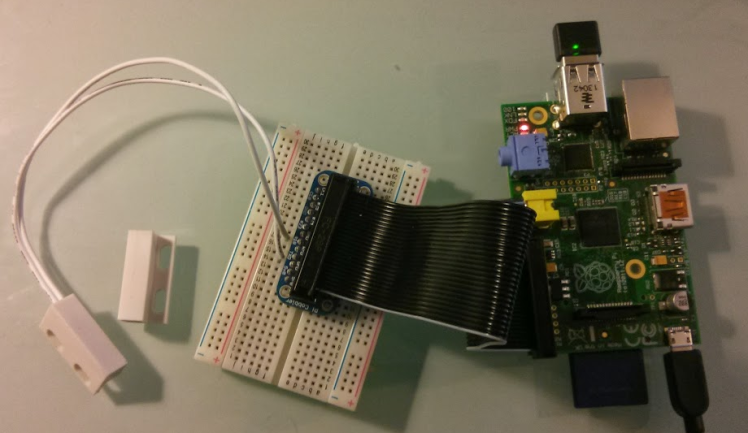 The reed switch is pretty common for door sensors so thats why I said you can wire your home security system into Google Analytics by splitting the wires into a Raspberry Pi or Arduino Board. 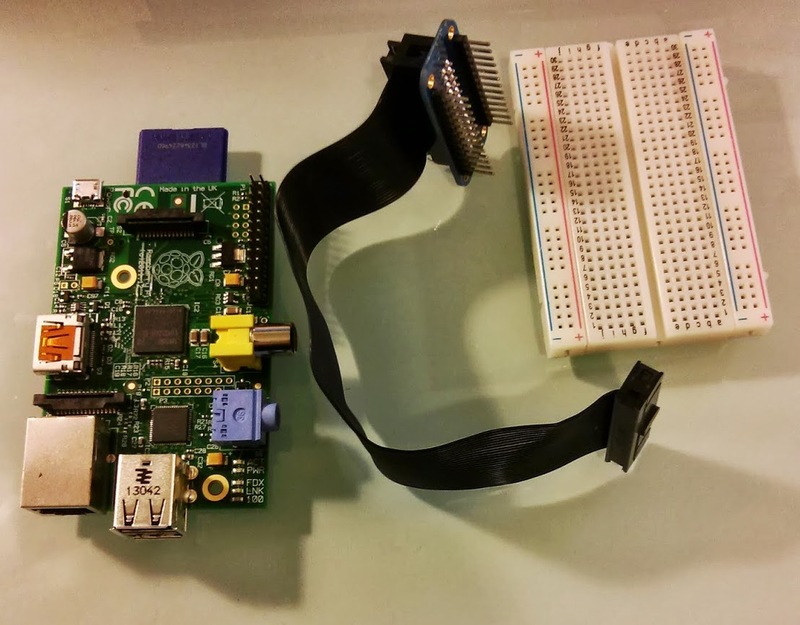 Remember – you need to install Rpi.GPIO (tutorial) for this code to work. 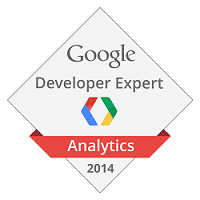 Make sure its working in the terminal and then go to Google Analtyics real-time events. You should see the category as doors and action as open and close. Note: Open is when the magnet is not touching and Closed is when it is touching. It will only fire once even if the door is left open. You can add this to fridges, doors, liquor cabinets, lockers, windows, office desk drawers and anything else that you want to be aware of when it opens. Have any cool ideas? Leave it in the comments below!